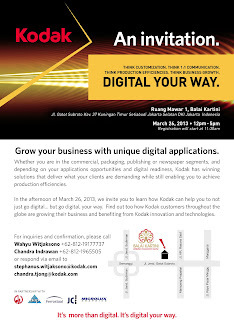 Kodak will host an annual Kick Off Meeting in Indonesia on March 26, 2013 at Balai Kartini Convention Center in Jakarta, Indonesia. Over 200 participants from the commercial, packaging, publishing or newspaper segments are expected to attend this event and Flexo Plate Digital will participate as one of 4 industry panelists that will be sharing their experience and knowledge of printing and converting using Kodak products. 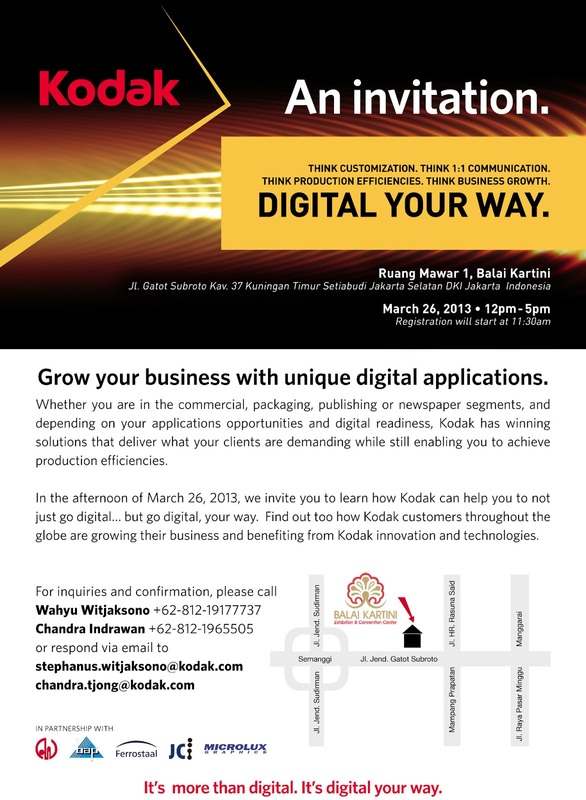 If you are interested please contact Kodak directly.